These are actually in the Declaration of Independence. While it is a powerful statement by the Founders about our unalienable rights (rights that no government can give or take away), the Declaration of Independence lacks the immediate legal force the Constitution possesses. In other words, you can’t sue someone for violating the Declaration of Independence. the right of the people to peaceably assemble and to petition the government for a redress of grievances. If you’re wondering why a shoe company commissioned such a survey, we can’t really answer that without advertising for their new marketing campaign. 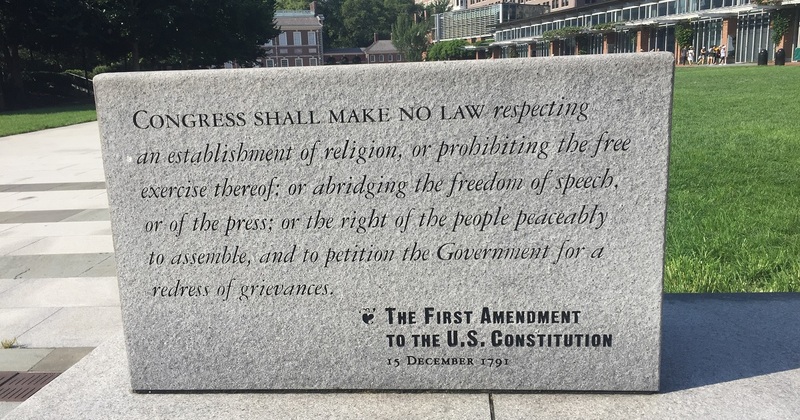 For now, we can be thankful that it has exposed this deficit in constitutional knowledge and for the opportunity to once again highlight just how important the First Amendment is!